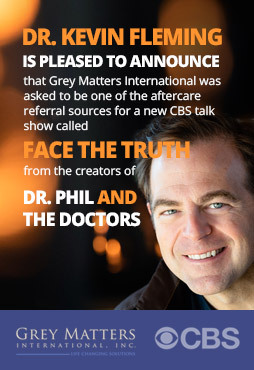 Grey Matters International operates worldwide and is owned by Dr. Kevin Fleming, a visionary within the world of brain-change science founded upon cutting-edge medical advancements. From foreign lands to New York City sky-rises to Malibu treatment centers and secluded Bahaman Island retreats, we bring advanced, practical and highly effective mental health solutions to clients, families, corporations and so much more. Whether you’re struggling with life burnout, your or a loved one’s addiction/alcoholism, a troubled marriage, a highly-sensitive corporate matter requiring a whole new level of clarity and much more, the Grey Matters International approach is highly customizable to your specific needs. We don’t look at the problem: we look at the elements surrounding and contributing to the problem, thereby alleviating rather than treating or masking. There is something extraordinary taking place here, and we invite you along for a journey that can potentially change your life, as it has in the lives of over 30,000 others! A slower cycle that lets you actually read each of the things! Dr. Fleming saved our marriage. If you read nothing but this, know that we didn't see a light at the end of the tunnel either. After years of riding an emotional roller coaster and both us being at our wit's end, we found and contacted Dr. Fleming. His straight forward, no B.S. approach appealed to us as we are receptive to that kind of communication style and felt we no longer had the 'time' to invest in our relationship or saving it, for that matter. This is not the traditional therapy route; his approach is real, raw and holistic. You'll learn a lot about yourself, your partner, and your relationship. He is worth every penny, he kept our family together. I met Dr. Kevin Fleming, “Doc”, in mid 2018. I was searching for answers to what I described as a “career midlife crisis”. I was very frustrated dealing with “fight or flight” responses to many issues and knew that I needed a different approach. Doc connected with me immediately and after several exchanges online, he went to work. With his coaching coupled with the neuroscience session, I began to feel more centered and balanced in my emotions and decision making. I truly feel I had a breakthrough for which I am grateful. Thank you Doc! The discovery of Dr Fleming and his neuro work was an answer to my prayers in finding help for my son. Patrick was suffering from severe trauma resulting from two different auto accidents that left him filled with anger and eventually rage. I knew therapy alone would not be enough and felt in my mind and heart this made sense. Something had changed in him after the last accident. After talking with the Doc about how the neuro would work my son agreed to give it a chance. As he started the sessions he was unsure but the Doc involved him in explaining the science and things began to change. Every session my son was becoming more engaged , relaxed, and positive. It was amazing ! !Thank you Dr Fleming for changing our lives and giving us back our son. Patrick is on his way to new things and looking to his future.Forever Grateful our paths have met! 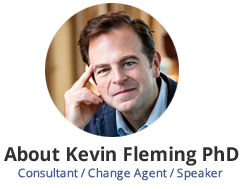 Dr. Fleming provides customized and highly effective growth paths for his clients, and in an innovative and well-researched manner. Dr. Fleming walked with me through a season of deep grief as I faced the end of my 34 years of marriage. He helped me to hold two very different narratives without explanation, judgment or justification. He challenged me to make personal choices true to my compass of Biblical grace and mercy. The Neurotech work was peculiar, unsettling then peaceful and empowering.I recommend Dr. Fleming’s expertise to those willing to honestly swim in the deep to find peace. How can you put into words a miraculous change, and make it sound as believable as it is? As I sat in church the other day and listened to the Pastor deliver a sermon about grief and the five stages of grief, I thought of my personal relationship. The five stages are as follows: denial, anger, bargaining, depression and acceptance. All five stages of grief are normal as long as you don't get stuck too long in any particular stage. As I thought of my personal relationship, I realized I had indeed been grieving the loss of a loving relationship and had moved through the first three stages and got stuck in the fourth; depression. That's where I was when I first met Kevin Fleming; stuck in a seemingly hopeless state of "giving up". I had lost my voice, my joy and my will. After the first day of neuro tech work with Doc Fleming, my emotions were all over the place. On a long walk afterwards, I laughed, cried, smiled and felt pure joy for the first time in a long while. Each following session proved to be moving me in the right direction of calm and well-being. Almost two weeks later and I cannot explain how different I feel. I have joy and confidence. I feel calm and at the same time a renewed sense of energy. I finally feel truly alive for the first time in a very long time! If you or someone you know are "stuck" where they don't want to be, I highly recommend that you look into this amazing process and get free of whatever is holding you back from a life of joy. I cannot thank Kevin Fleming enough for his research in the neuro tech field and his kind and compassionate approach to healing. I had been a binge drinker since I was a teenager. “Let’s have a few” and “always up for a good time” were part of my persona. After a tough day at work, a little numbing seemed ok. Drinking was an easy way to escape the white noise in life. But when my kids went off to college the opportunity to have a few (too many) and my ability to control myself became a more frequent problem. My drinking was affecting my relationship with my wife and kids, and I realized that this was not the person I wanted to be, and I needed help.I am well known and respected in my profession and in the community and deeply value my privacy, so AA or group counselling was never an option.I stumbling onto Doctor Fleming and his unconventional ways online. Skeptical, I read his book, and asked for references who all overwhelmingly helped my get over my reservations and I took the leap of faith.After several calls and text messages Dr. Fleming went to work. I have known many people in my life, but none with his AMAZING ability to understand you and connect with you at your level. It is his true gift from God!With never a pretense of judgment, Doc was able to help me understand how my relationship with my drink was more important than the relationship I craved with my wife and kids. Ultimately, he helped me understand how alcohol was keeping me from being “fully present” and re-programmed me so I could enjoy the relationships that mattered most in my life. Hello Dr. Fleming I am taking the time to write you in appreciation for the tremendous help and value that your program was for me. Your thorough professionalism combined with you kindness and caring was the key to paving the way for assisting me in taking the giant steps forward in my life. The human way that you presented the findings of your very scientific method allowed me to understand my past behaviour and implement the changes that are needed for a strong future. Thank you again for the program you have developed. Dr. Fleming's approach helped me to attack the issues I faced of impulse control and to begin to recover from burnout by working on getting my adrenals to function better while he determined what kind of emotional state I was in with EQ testing. From there he worked to calm my brain through his neuro methods. I immediately started sleeping so much better and have had noticeable improvements in my ability to process and retain new information. Dr. Fleming is outstanding at taking complex problems and reducing them to approachable, achievable solutions, whether the problems arise in the work place or at home. He is a gifted life coach that is able not only to listen but to identify core issues and suggest functional solutions. In this regard, he is unique in the field.